The "agua de Jamaica" is the first drink that Lucrezia tasted when she arrived in Mexico. Along with José Ignacio they bought the dried Jamaica flowers, they boiled the water and took the juice with the intense perfume and color. 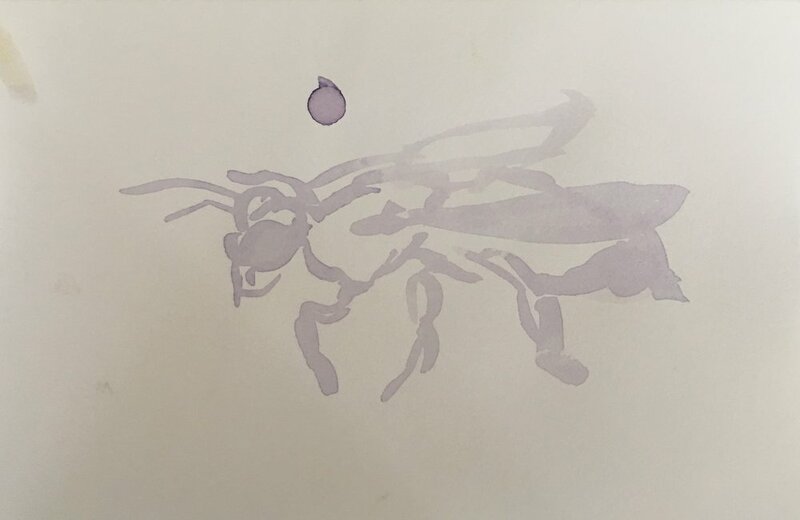 As often happens the things that we fall in love with - by mere chance - a drop of purple juice fell on a sheet of paper, thus inaugurating the series of drawings Aguas. 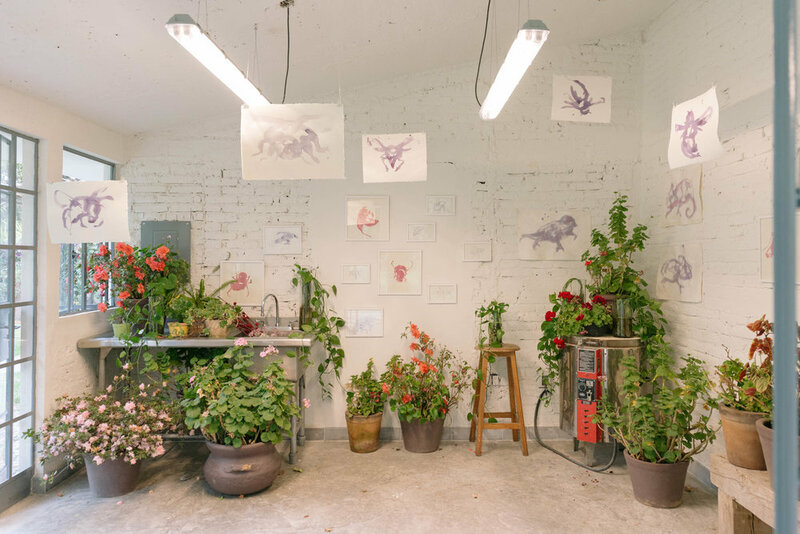 There are bees and lizards that invade a greenhouse full of plants and flowers. The same flowers that they feed on, the same flowers that created them.